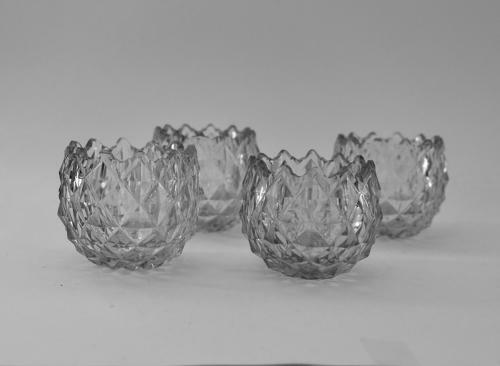 Set of four cut glass salts with cut diamond decoration and star cut base. English C1780. Condition: Very good with only minor polishing to two rims.